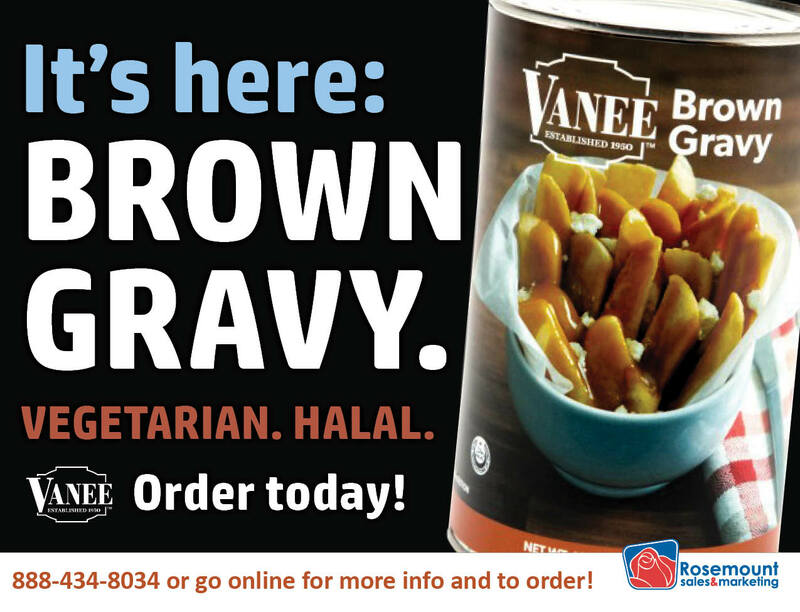 The Gravy we’ve been waiting for! Vegetarian, Halal, Rich in flavour and fully prepared – ready for your Poutine – or whatever needs a ‘saucy’ upgrade on your menu!! Call us to order now! 888-434-8034. As an experienced Manufacturer Agent in Canada, we specialize in protein for the Food Service, Retail and Manufacturing sectors. Strong buying office relationships and unmatched distribution in the Canadian Food Service sector have been the primary factors behind Rosemount’s success. We are committed to helping provide menu solutions to your challenges from our Quality Assurance Departments to your dining room. In Retail, we have been an effective brand builder across Canada, focusing on valued-added brands in order to build sales and profits. Private Label completes Rosemount’s expertise with over ten years of experience servicing market leaders in Canada and successfully building categories. We look forward to working together with you on your next project!